Anyone who is caring for a loved one that is dying learns a lot about how to care. It’s hard to sustain energy and resilience throughout the journey, and to keep giving the best possible support at such a difficult time. 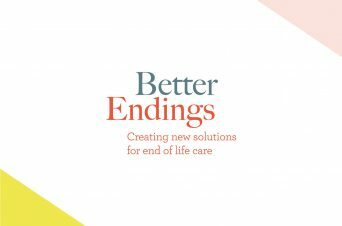 Through the Better Endings project, we have been working on Coach4Care, a new solution that provides coaching to people delivering this end of life care. 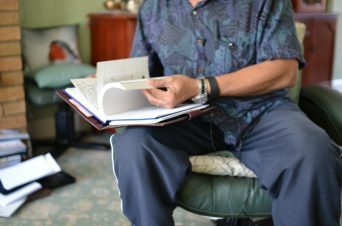 The service uses professional coaches to train ex-caregivers as coaches, enabling them to impart their knowledge in a meaningful and rewarding way. 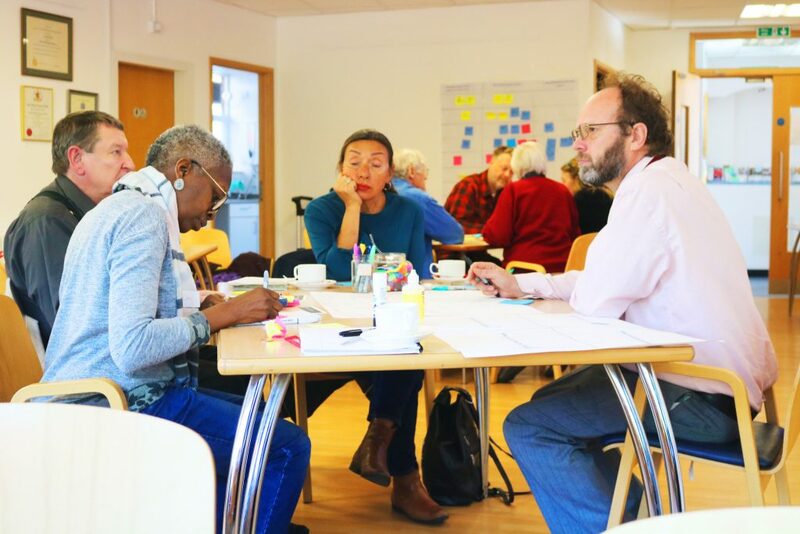 On Monday 16th October, we are running a workshop at CAN Mezzanine to co-create new coaching tools that will be tested by carers and ex-carers the following week. 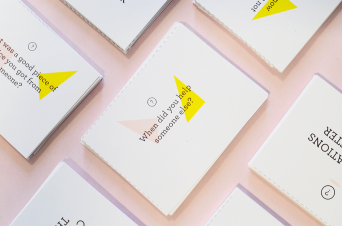 We are looking for both Professional Coaches and Service Designers, who can use their design expertise to look at coaching through a new lens, and build on people’s lived experiences. We know that caregivers know their situation best and that they gain a lot from reflecting on their own experience. We also know that the challenge is in sustaining emotional energy through the journey. Coach4Care coaches people to reflect on their situation and take action to better their own well-being and the well-being of those they care for. 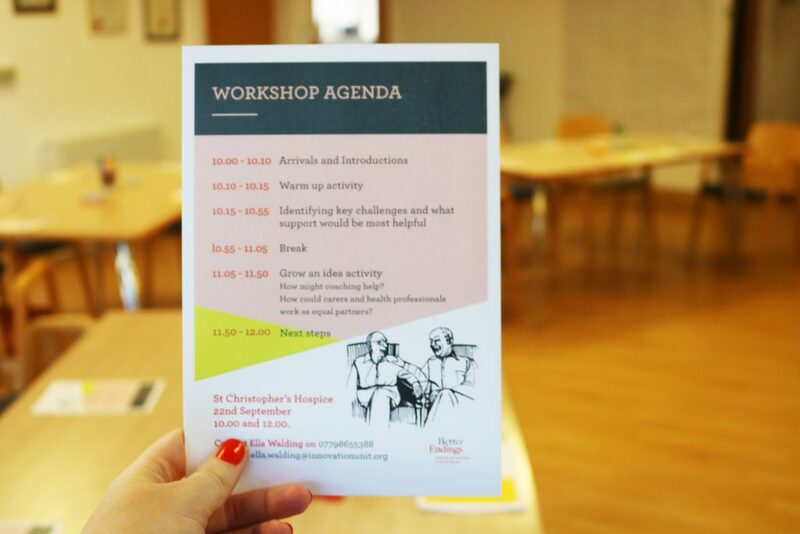 To find out more about next week’s workshop, and how you might be able to get involved, click here. Coach4Care coaches people to reflect and take action to better their own well-being and the well-being of those they care for. 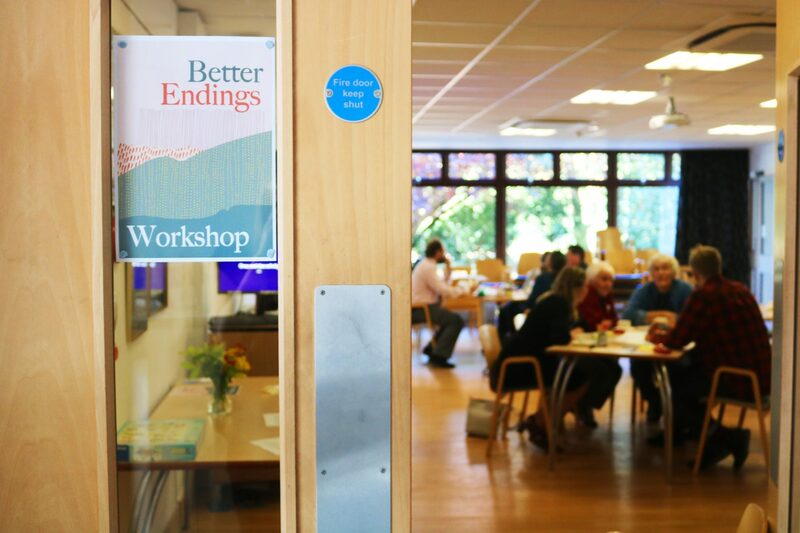 Find out more about the Better Endings project here.